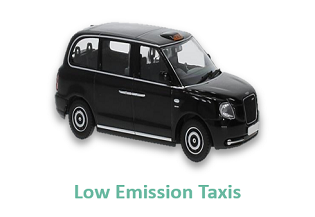 The Low Carbon Vehicle Partnership is holding a 'Low Emission Taxi Workshop' to outline the range of low emission taxi technologies and fuels as well as to provide guidance on the provision of electric vehicle charging infrastructure. The event - which is free to delegates - is primarily targeted at local authority representatives and those otherwise involved in ensuring that taxi and private hire fleets become cleaner and greener. An overview of national and local policies and measures will be presented at the Workshop. Case studies will be presented bylocal authorities that are already deploying low and ultra-low emission taxis and minicabs. Lunch will be provided and attendees have a chance to see a lower emission taxi on display outside the Council offices.